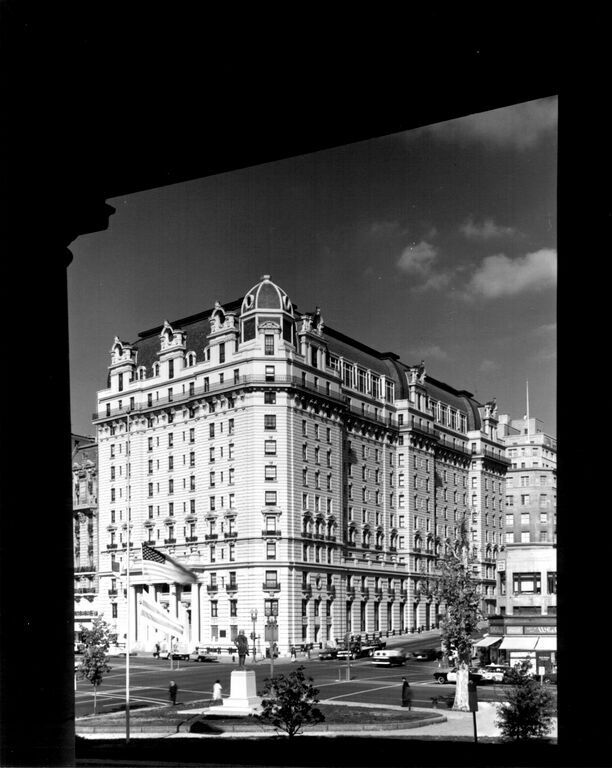 The Willard Hotel (1900-1904) was designed by New York architect Henry Janeway Hardenbergh and erected by the George A. Fuller Co. 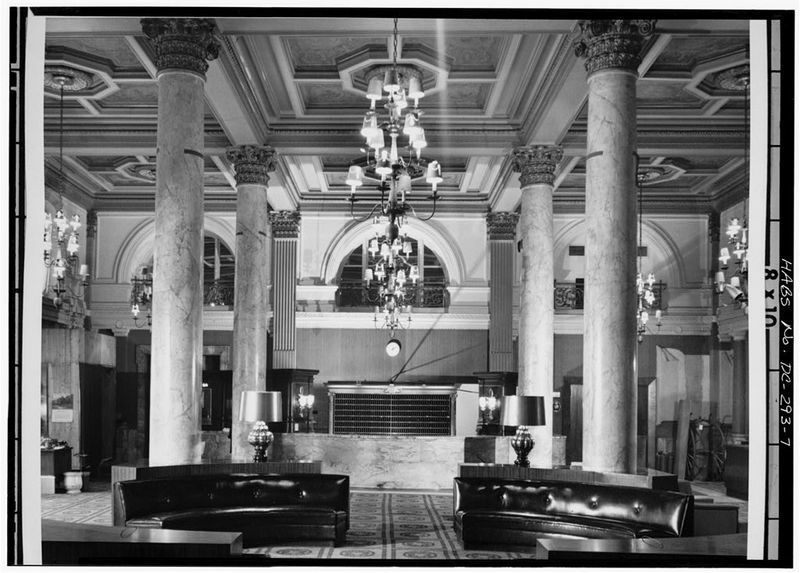 Hailed at its; opening in 1901 as Washington's first skyscraper, the building successfully adapts, the eclectic Beaux-Arts vocabulary of French domestic architecture to the rigors of steel frame and concrete construction. 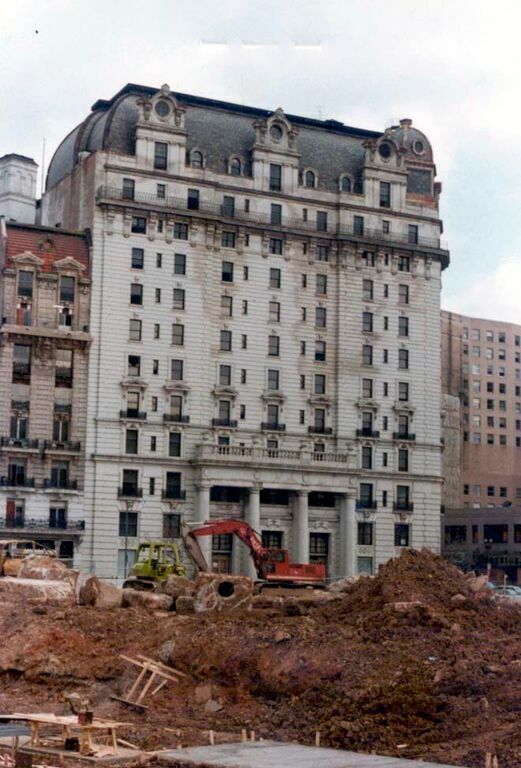 In spite of its massiveness and the difficulties encountered inside and plan, the Willard attains an attitude of dignity and quiet symmetry characteristic of its architect's mature work. Its well-articulated facades are organized both vertically and horizontally into three-part compositions. An excellent example of French-inspired eclectic Beaux-Arts classicism, it is perfectly suited to the dominating position it occupies on ceremonial Pennsylvania Ave.,1 1/2 blocks from the White House. Grand and stately, yet, through the rich visual intricacy of its fabric, possessing a decidedly human scale, it effectively complements the neighboring District Building, Commerce Department Building, and Pershing Square, unifying the north and south sides of Pennsylvania Avenue. Built 1901 (Henry J. Hardenburgh, architect); addition 1925; renovated 1984-85. 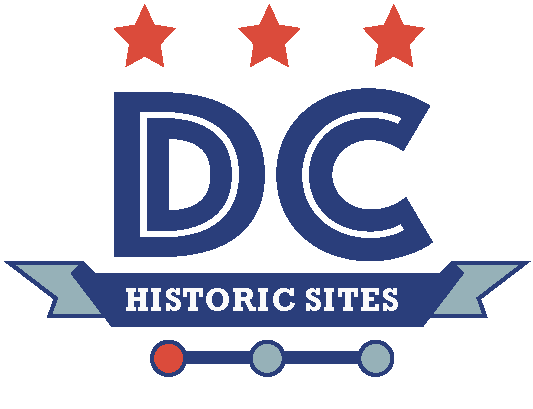 “Willard Hotel,” DC Historic Sites, accessed April 24, 2019, https://historicsites.dcpreservation.org/items/show/55.